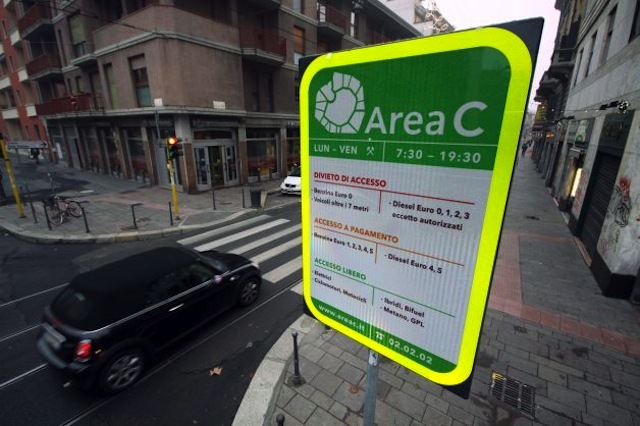 Area C, the Congestion Charge, will phase in Milan, January, 16th, 2012. Monday to Friday, from 7.30am to 7.30pm, new access regulations to the city centre will be introduced. Access to the area called “Cerchia dei Bastioni” (via 43 entrance points) will be restricted to drivers purchasing the 5 Euro ticket valid for all vehicles. Special terms will be applied to residents and duty vehicles. Bicycles, scooters, electric cars, vehicles displaying blue badges for disabled people as well as hybrid, methane powered, lpg and biofuel cars (up to December, 31st, 2012) will be exempted from the charge. Excluding the above mentioned exemptions, Euro 0 petrol vehicles and diesel fuelled vehicles Euro 1, 2 and 3 can no longer have access to the city center. Decreasing road traffic in “Cerchia dei Bastioni” (city centre). Raising funds for soft mobility infrastructures : cycle lanes, pedestrian zones, 30kph zones. Improving the quality of life by reducing the number of accidents, uncontrolled parking, noise and air pollution. Choosing public transport as opposed to private cars makes traffic more smooth-flowing which in turn increases public transport frequency. Decreasing the number of circulating cars will result in reduced polluting emissions. The limited traffic area, Cerchia dei Bastioni, is the area with the best public transport system in Italy with its 15 bus routes (37, 43, 50, 54, 57, 58, 60, 61, 67, 70, 73, 74, 77, 84, 94) 11 street-car lines (1, 2, 3, 4, 12, 14, 15, 16, 23, 24, 27) and 3 underground lines (M1, M2 e M3). This system will be further strengthened when Area C comes into effect. Click here to download public transport maps: Mappa Centrocittà e Mappa della Rete metropolitana . For your journey planner and further information please click here: calcola il percorso con GIROMILANO. Area C, which coincides with the limited traffic area Cerchia dei Bastioni, has 43 access points electronically monitored by surveillance cameras. 7 out of these 43 access points are limited to public transport vehicles. The surveillance cameras detect the entering subject and transmit the data collected to a computer which recognizes the vehicles, their classification (residents, duty vehicles, free access ones) and the corresponding due charge. The access to Area C does not allow the use of fast-track lanes. The entrance ticket is always valid throughout the charging day (from 7.30am to 7.30pm). 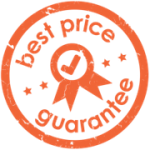 The purchase covers all accesses made on the same day. All accesses made between January, 16th, and March , 16th, can be paid up until March, 17th, 2012. The ticket can be paid the day itself or within midnight of the following day. The ticket allows accesses, exits and transits with no limitations throughout the day.